We are very excited, that our world’s only certified organic Manuka & Kanuka Oil is now available for unrivalled results. Native to New Zealand, Manuka and Kanuka are wild growing plants, highly valued by the Maori for their potent antibacterial, antifungal and anti-inflammatory benefits for wounds, skin conditions, along with the treatments for coughs, colds, fevers and headaches for centuries. Manuka oil has antibacterial, antifungal and anti-inflammatory properties and assists the skins natural healing process. When applied topically, this unique purifying oil blend can promote healthy skin. 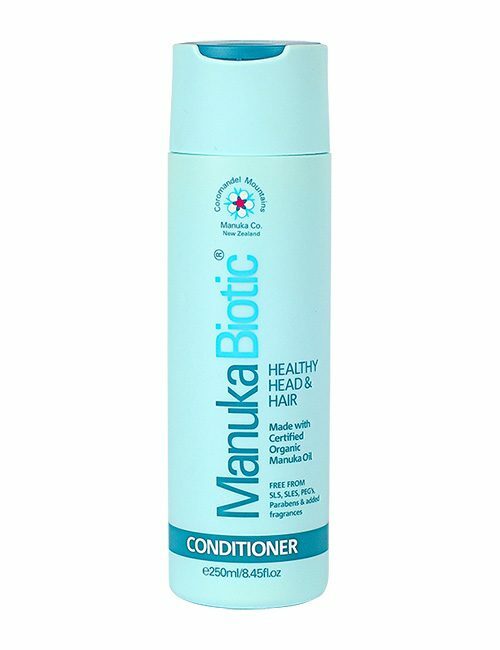 Combats the bacteria that causes acne. It’s what’s inside our Manuka & Kanuka essential oil blend that really makes the difference. We’re proud to have been awarded the world’s first certified organic Manuka oil certification by Bio-Gro New Zealand. BioGro is New Zealand’s largest and best-known certifier for organic produce and products. We steam distil our purest, most powerful oil right on our farm in the Coromandel, New Zealand, where we have always chosen to be environmentally conscious, sustainable and ethical in our harvesting of our Manuka and Kanuka trees. Natural Treatment for Acne, Blemish Prone and Oily Skin: All you need is a tiny amount of this powerful 100% pure essential oil Manuka Oil blend to penetrate the skin and unblock sebaceous glands. It will dry out whiteheads, blackheads, pimples and other blemishes, as well as disinfect the pores too. If you’re suffering from breakouts across your body, add a couple of drops of the oil to your bath or Body Wash and it will help clear the acne from your back and chest. 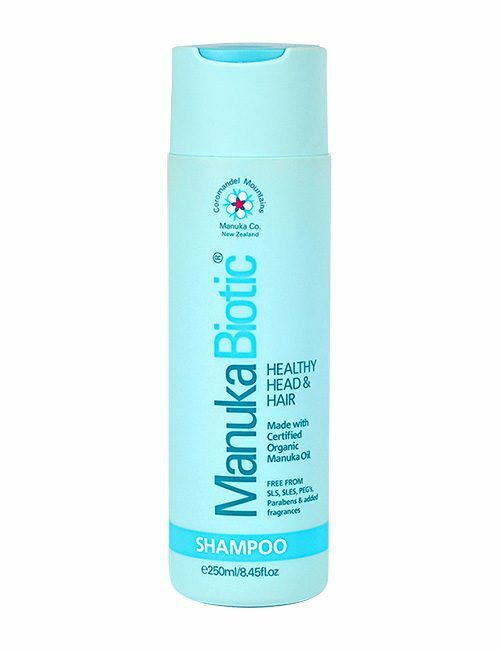 Natural Treatment for Dry, Itchy Scalp and Dandruff : Research suggests that 100% Manuka Oil’s natural antifungal properties greatly improves symptoms of an itchy, dry scalp which is a skin condition that causes scaly patches on the scalp and dandruff which can be caused by a type of fungus called Malassezia that’s naturally found on your scalp. Add 3-5 drops of Manuka Oil to your Shampoo and Conditioner can help soothe inflammation caused by scratching and psoriasis. Expect to see results in a few weeks. Natural Treatment for Athlete’s Foot, Ringworm & Toenail Fungus: Apply topically to targeted areas to support the skins natural immunity against common skin infections, ringworm, athlete’s foot, nail fungus, cold sores, and wart viruses. You can also assist the skin repair for fungal conditions such as fungal foot conditions, cracked and split heels doing a foot soak. For adults, add 4–6 drops to a bowl of warm water, and let your feet soak for 15 mins. 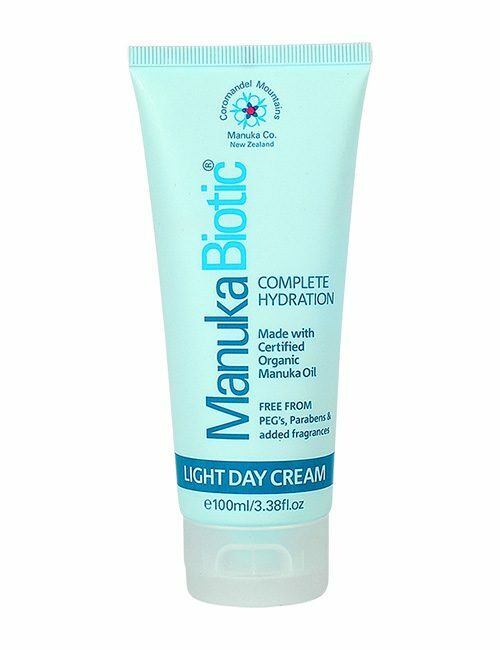 Afterwards apply Manuka Biotic’s Body Lotion, which is infused with Manuka & Kanuka oil to add moisture and aid the skin’s healing. 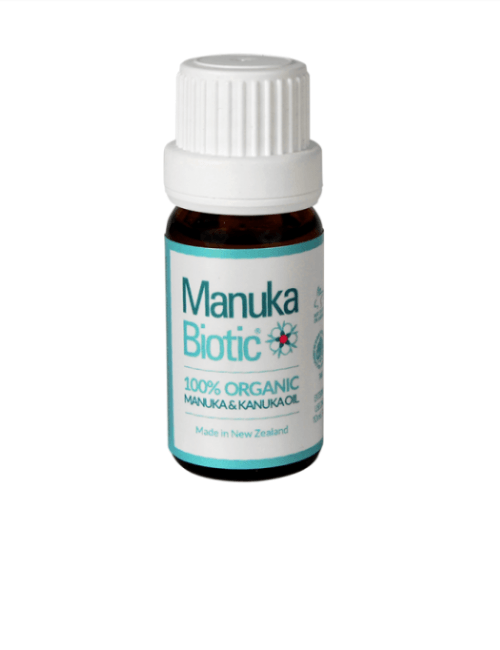 Natural Remedy for Sore Throat & Coughs: One of the most well-researched benefits of Manuka & Kanuka Oil is its powerful antimicrobial properties, giving it the ability to kill off bad bacteria that lead to respiratory conditions. And, on top of that, Manuka Oil has an invigorating scent that helps clear congestions and eases your cough and other respiratory symptoms. Just diffuse 5 drops or inhale directly from the bottle. Natural Remedy for Cuts, Bites, Ulcers & Skin Abrasions: It can also be used as a general antiseptic for cuts, insect bites, cold sores, ulcers, and abrasions since it is scientifically proven to be antibacterial. antifungal and anti-inflammatory. For external use only. Keep out of reach of children. Avoid contact with eyes. If product gets into the eyes rinse well with water immediately. Do not store in direct sunlight. Certified 100% Organic by Bio-Gro. Made with ‘wild harvested’ Manuka & Kanuka oil from the Coromandel, New Zealand. Manuka Oil Keeps the skin clean and healthy. Its potent antibacterial, anti-inflammatory and antimicrobial properties helps with skin irritations and fights acne causing bacteria. Kanuka Oil Its antioxidant properties protect the skin from free radical damage as well as having potent antimicrobial properties that aid in keeping the skin clean and healthy. Manuka & Kanuka essential oil comes in a 10ml (0.34oz) glass bottle. Order now and receive the freshest product shipped directly to you from our farm in the Coromandel, New Zealand.